Behind that simple interface, Spotify hides tons of amazing features worth checking out. Spotify might be the core for all your music needs, but still there is a good chance you might not be using it to its its full potential. 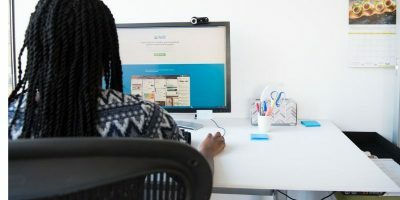 Whether you are interested in getting a little social on Spotify or want to search music effectively, we have all the tips and tricks listed below to make you a Spotify pro. 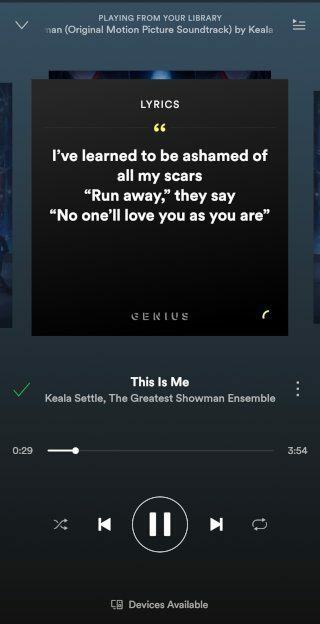 Spotify has partnered with Genius to provide lyrics for selected English songs. This is currently only available on the Spotify mobile app. 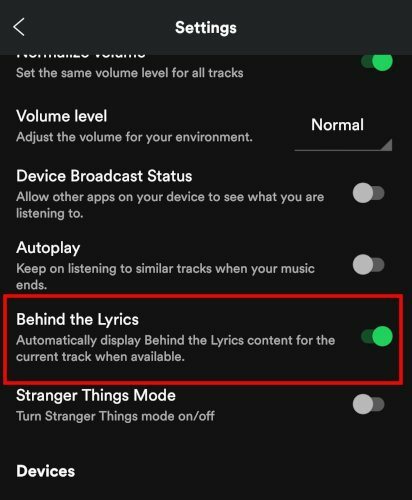 Optionally, you can go to the settings and activate the “Behind the Lyrics” mode. It will show information about the song alongside the lyrics. 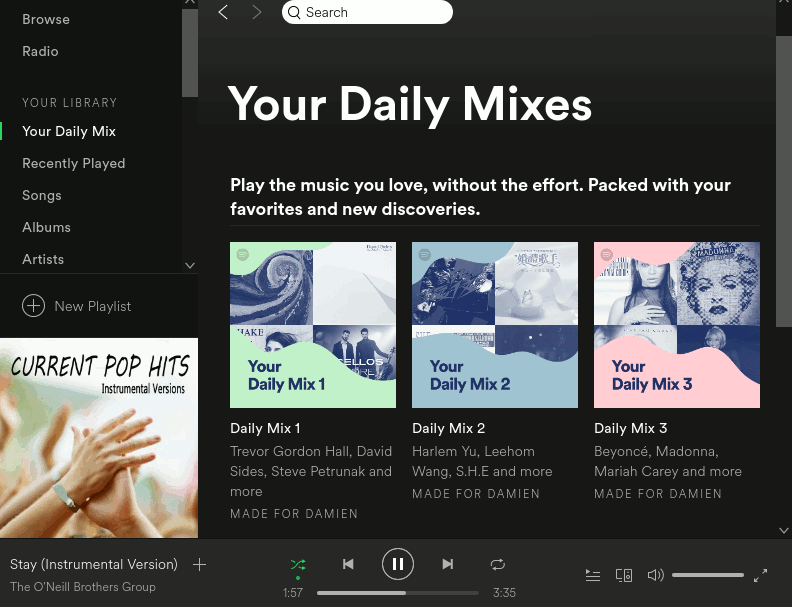 You might already know about “Discover Weekly,” but did you know that it also generates multiple “Daily Mixes” playlists that you can play daily? Once it detects that you have listened to multiple music/songs from a genre or category, it will then generate a daily playlist with random songs from the genre/category that you are listening to. Searching for music using the artist, album or song name is all fine and dandy, but did you know Spotify also lets you use other terms to do a smart search? For example, you can use terms like “Year:1973-1980” to find songs from this era only. There are many other terms, and you can also chain together terms to make your search even more precise. You can refer to Spotify’s advanced search guide to learn these terms. There are so many available songs that it’s impossible to remember them all. 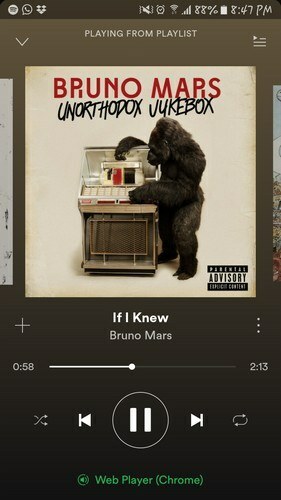 Thanks to Spotify’s suggested music, you can find songs you didn’t know existed. 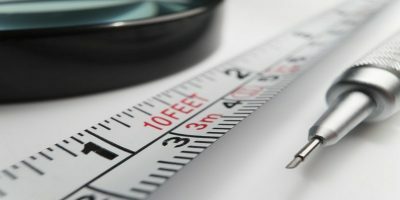 To improve those suggestions, give the radio stations a try and rate the songs. That way Spotify will know your preferences and suggest music that you like. 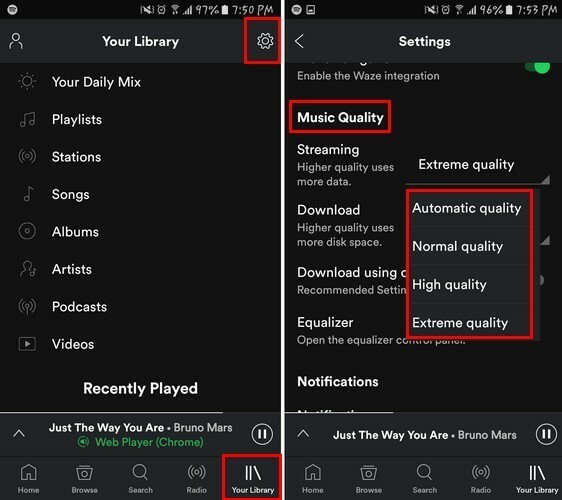 To improve Spotify’s sound quality, you’ll need to go into its Settings by tapping on the “Your Library” option. Select the cog wheel on the top-right and swipe down until you get to the “Music Quality” option. In the streaming option you’ll see that the quality of the sound is automatically set to Automatic. Select it and a dropdown menu with more options will appear. You can choose between Normal quality, High quality, and Extreme quality. 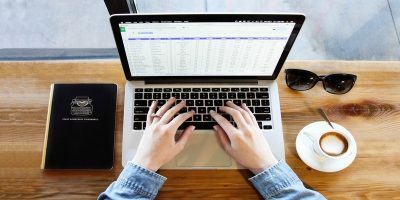 If you want to select high or extreme quality, don’t forget that it will use more data. 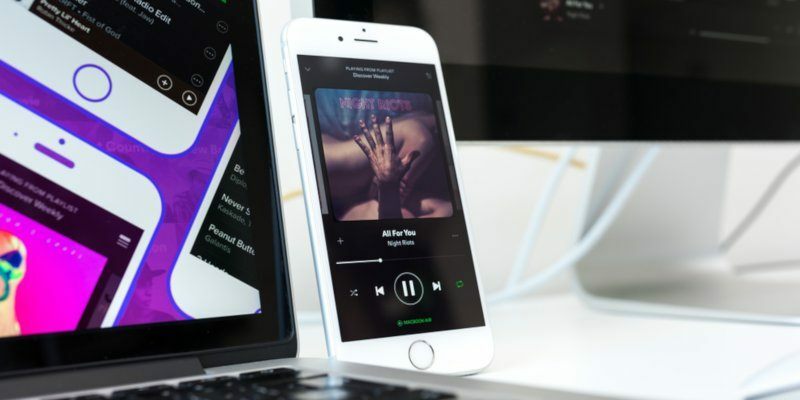 Since you probably have your hands over the keyboard anyway, controlling Spotify from it will definitely come in handy. You can see all the keyboard shortcuts on the Spotify support page. You can easily recover all your deleted playlists from the Spotify web interface. All you have to do is log in to Spotify and click on “Recover Playlists” in your account. After that, select the Playlist you want to recover and click on “Restore.” The playlist will be added to your playlist area on all your devices. You can easily view all the songs that you have ever played on Spotify. This can be handy if you forgot to add a song to your playlist and can’t seem to remember its exact name. Just open “Queue,” located at the bottom and next to the song playing. (It has three horizontal lines.) Click on “History” and you will see all your music history. By connecting your Shazam account with Spotify, you can save time when identifying a new song and adding it to your playlist. Launch Shazam and tap on “My Shazam” on the top-left corner. 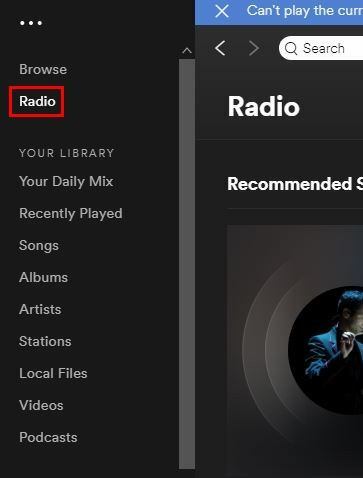 Click on the cog wheel, and under Streaming you’ll see the option to connect your Spotify account. If you and your friend have very similar but not identical taste in music, a collaborative playlist is a good idea. 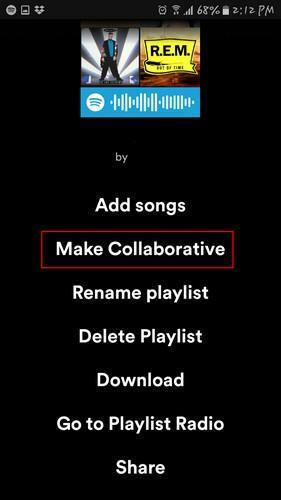 To create one go to “Your Library -> Playlists -> Choose a playlist -> Options -> Make Collaborative.” With this list both of you can add, remove, etc., all the songs you want. If you have so many playlists that you’ve lost count, then putting them into folders will make them easier to find. This option can only be done on the desktop version of Spotify. Click on the three dots on the top-left -> File -> New Playlist Folder. If you’re not happy where your music is currently being stored, that can easily be fixed. Click on the dropdown menu and select Settings. Scroll all the way down until you see “Advanced Settings.” Click to see more. Look for the option that says Offline Songs Storage and click on change location. Choose the new storage location for your songs. After opening the Spotify web player on your computer, launch the Spotify app on your phone. The song you are currently listening to will be displayed at the bottom of your display. Tap on the song, and you should see the player with options to pause, replay, etc. 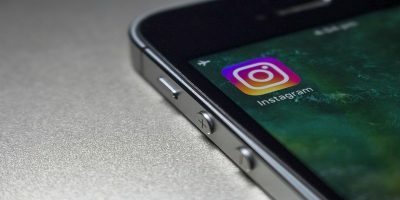 This feature is another reason to go Premium since you won’t always have to depend on an Internet connection to listen to your music. 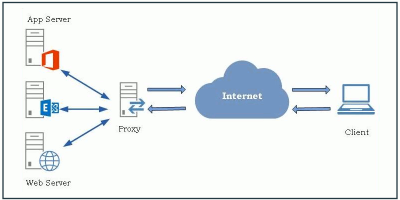 To enable offline mode, select the playlist you want to have offline access to. Towards the top-right of the playlist, you should see the option to toggle on the Download button. Spotify has so much to offer, but you need to know where to find those goodies. 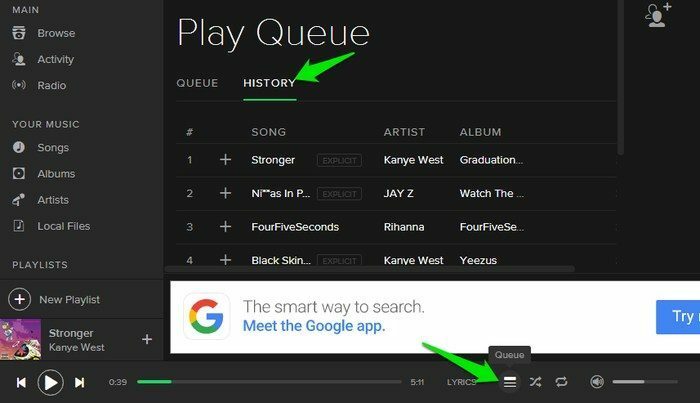 With these tips, you’ll have more control of your music and will get more out of the music streaming service. 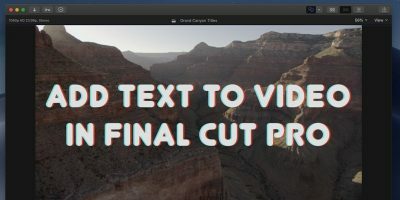 What tips would you recommend? Share them with us in the comments. 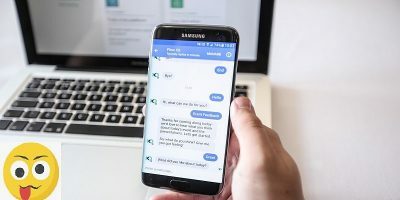 This article was first published in January 2016 and was updated in May 2018.